A transport system designed for the combination of machine complexes in chip machining processes. For the transport of workpieces with a flat seating surface, without a workpiece carrier and with small dynamic pressure. 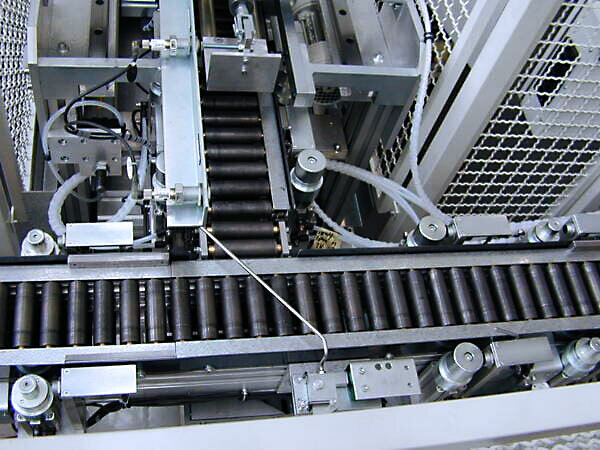 A roller conveyor with slippage can be manufactured in various lengths and widths of rollers.